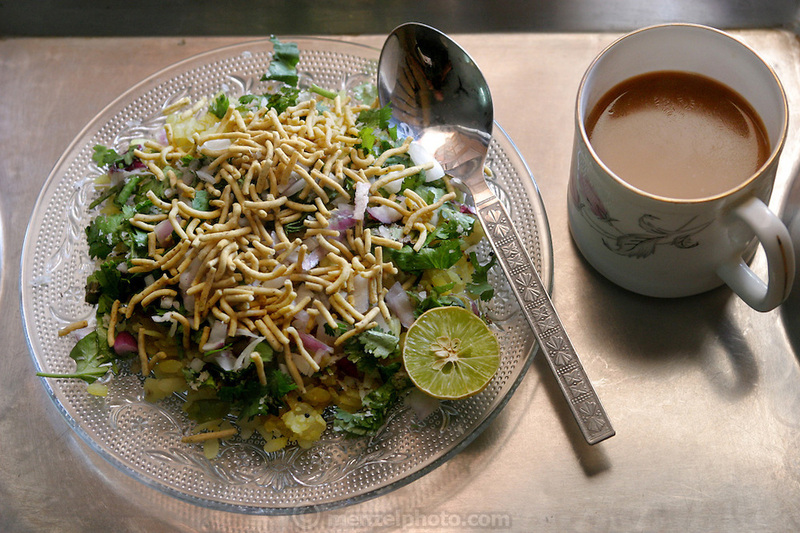 The Patkar family's vegetarian breakfast consists of rice flakes, chickpea-flour noodles and fresh chopped greens, Ujjain, India. (From a photographic gallery of meals in Hungry Planet: What the World Eats, p. 245). The Patkar family of Ujjain, Madhya Pradesh, India, is one of the thirty families featured, with a weeks' worth of food, in the book Hungry Planet: What the World Eats.